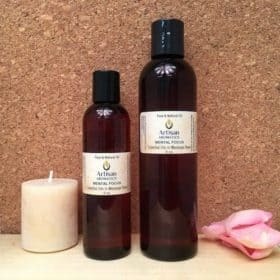 Uplifting Massage Oil Blend is a Ready-to-Use combination of our 100% Pure Essential Oil Uplifting Formula added to our Massage Base. 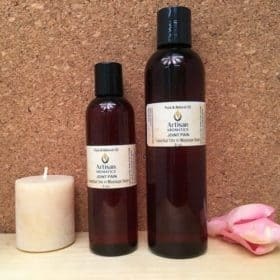 Our ready-to-use Uplifting Massage Oil Blend is a combination of our 100% Pure Essential Oil Uplifting Formula added to our Massage Base. 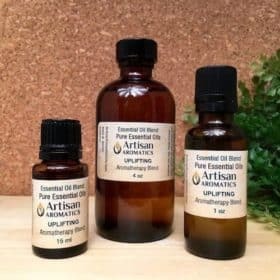 I really love the aroma of this blend, which has beautiful floral notes of Ylang Ylang, Neroli and Lavender tempered with the clear citrus note of Bergamot. A hint of Spruce gives it depth and complexity in my opinion and keeps the ylang ylang from becoming too heady and overpowering. 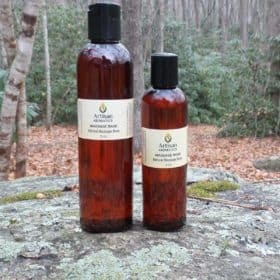 This is one of our most popular massage oil formulas. 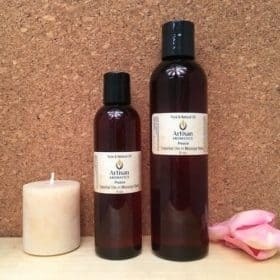 The beautiful aroma of this massage blend is more floral than I would wear purely as a personal fragrance but I love the effects it has on me. I find that it has a wonderful way of improving my mood and raising my spirits in a very subtle and gentle way and I love spending an afternoon making up a batch in the shop. The little bit of Ylang Ylang essential oil anchors the blend and gives the aroma a lasting quality. For the person who likes a personal scent with sweet floral notes I think that this would make a fine fragrance and you can use it that way by simply rubbing a little on your wrists and throat straight from the bottle. 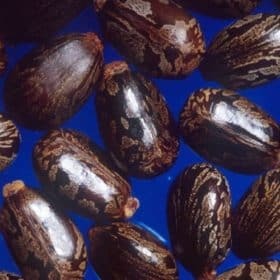 Alternatively, you could also pour a bit from the bottle it comes in into one of our small roller-ball perfume bottles and carry it with you to roll on when the mood strikes you. Your experience with this beautiful blend may, of course, be different than mine and I would love to hear about it.